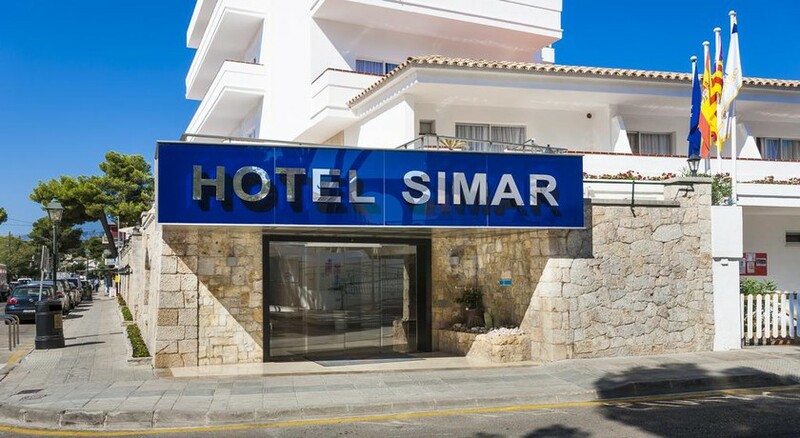 The traditional looking, boutique-style Hotel Globales Simar is located in the picturesque Cala San Vincente, spoiling guests with everything that they could want from their holiday. There is a stunning outdoor pool with magnificent views, comfortable rooms, in-house restaurants and a beach just a few paces away. Guests can soak up the sun in style and explore all the comforts that the Hotel Globales Simar has to offer. There are many attractions and dining options outside the hotel, offering the guests the perfect chance to create their dream holiday. The complex is perched on the cliffs overlooking the stunning Cala Vicente Beach below. This small cove gives guests the chance to sunbathe in a tranquil setting while the waves gently lap the shore. Guests can wander out of the hotel in search of more beaches where they can try their hand at water sports if that is their thing. 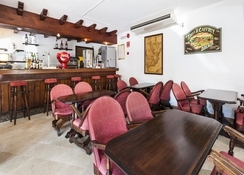 Beyond the hotel, guests can take a walk and explore the natural beauty that surrounds the hotel while a short bus trip will have them sampling the busy area of Alcudia and all that the bustling town has to offer. This is the ideal location for those looking to take things at a slower pace while relaxing and unwinding at the same time. The airport is 67km from the hotel. There is a total of 107 rooms and 14 apartments, offering guests the chance to find their perfect holiday. Each room is comfortably styled with a twist of modern décor and traditional features, creating a real character that sets this hotel apart. All rooms have satellite TV, full bathroom, air-conditioning safety deposit box. The unique location of the hotel ensures that all balconies have views of the glistening sea or the mountains that surround the area. Guests are giving plenty of choice when it comes to dining which means that their breakfast, lunch and dinner needs are all catered for. The freshly prepared dishes offer fresh fruit, salad, meat and fish as well as local dishes and international cuisine. The hotel also puts on themed evenings during the week, giving guests that chance to sample a wide range of exotic and tasty dishes. The uniquely styled in-house restaurant comes with a traditional décor providing a special dining experience. Through the day, the bar serves up a range of refreshing alcoholic drinks and soft drinks. The hotel and sun terrace provides guests with sensational views over the bay as they relax or take a dip. For those guests who like to get active while on holiday, there is a range of activities on offer including tennis, badminton, billiards, water polo, boules and rifle shooting. The animation team entertain guests throughout the day and after dark, the fun continues with shows and live music as guests enjoy a quiet drink. Guests can take advantage of the local beaches and water sports if they want to get their fix of excitement and thrills. My hubby and I stayed for 4 nights and had a great time met some lovely people while there the hotel was very clean and comfortable staff friendly and always to hand food was nice.